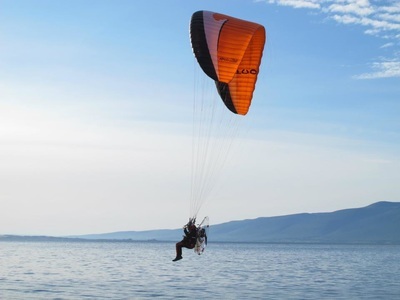 A paramotor is a back mounted motor unit combined with a specific type of paraglider (parachute). 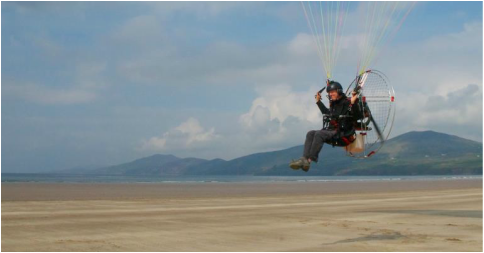 The Motor is mounted on your back on a rucksack like frame, with an outer frame to guard from the propellor blade to the rear. 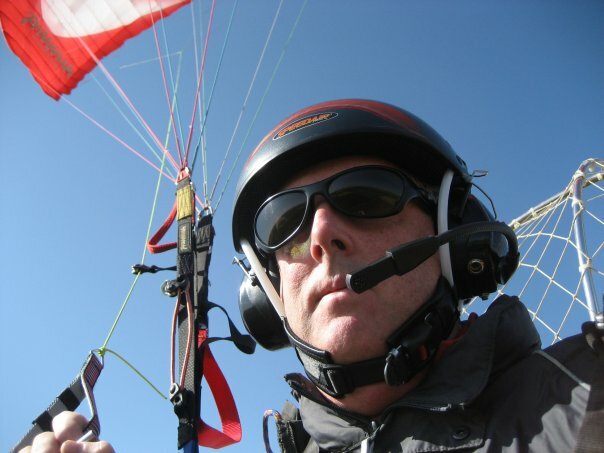 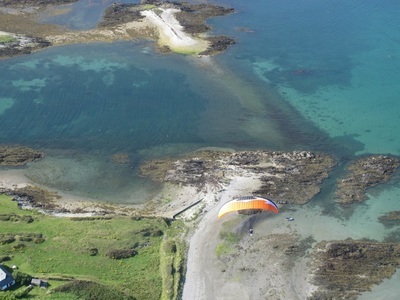 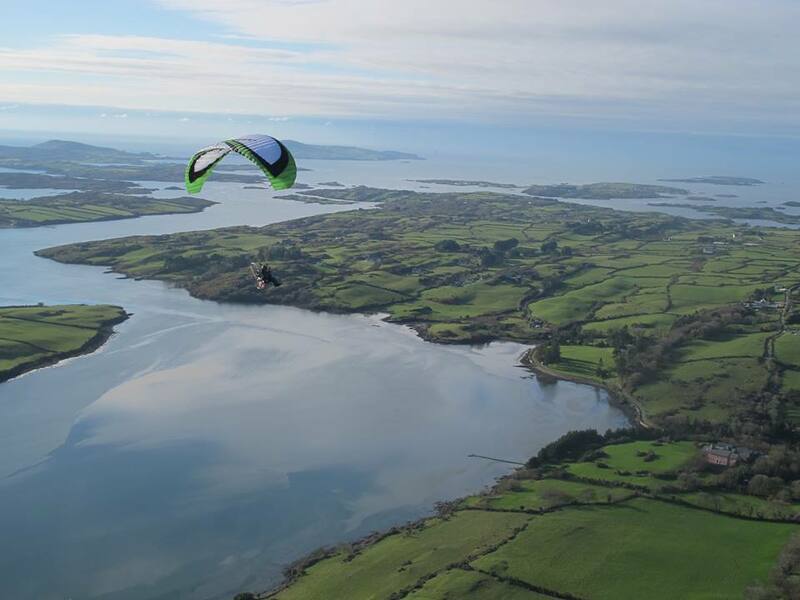 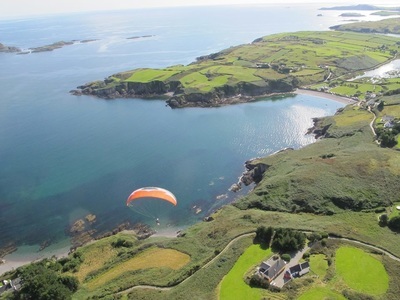 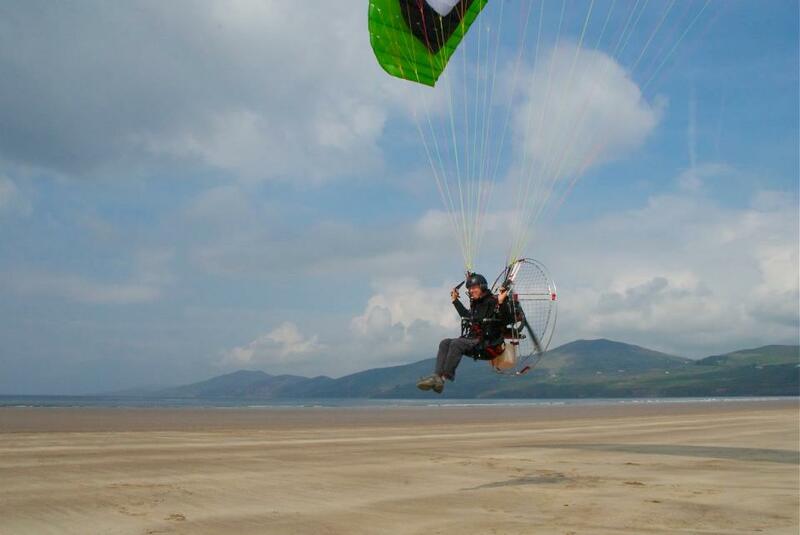 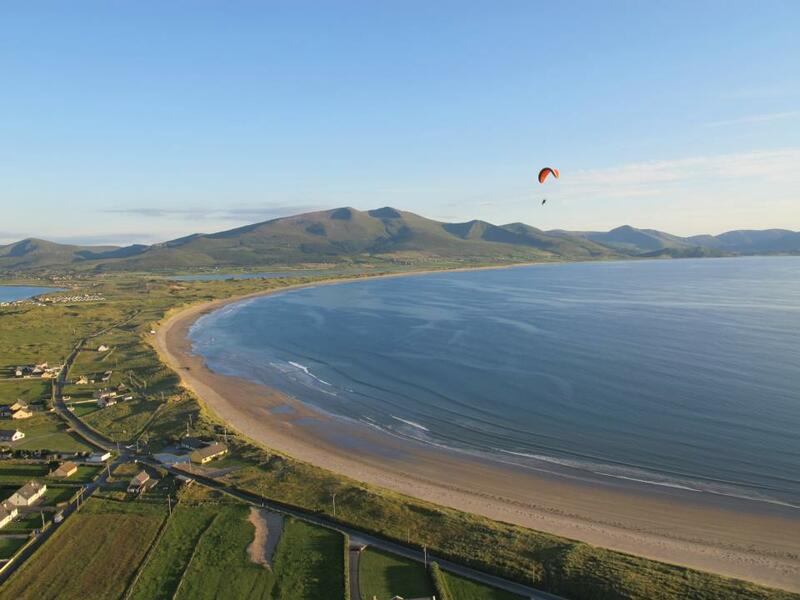 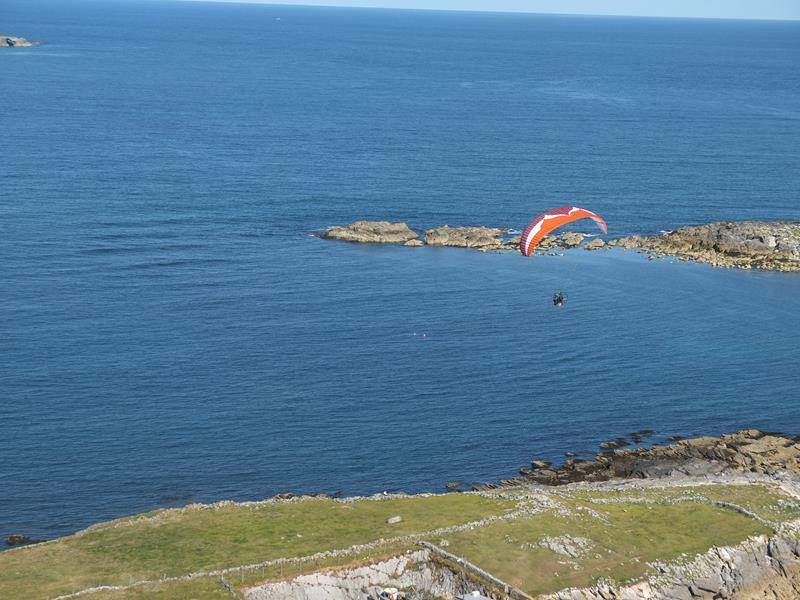 The beauty of Powered Paragliding/ Paramotoring is that these aircraft are easy to fly and to transport. 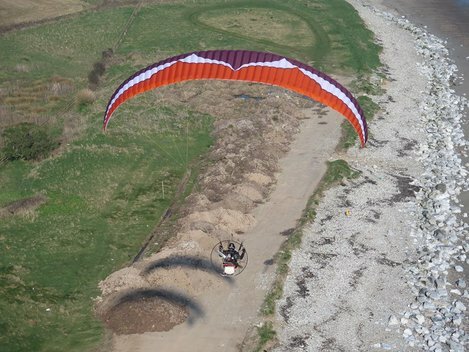 They can fit in the boot of a car but have the ability to be able to take off from a small flat field and land almost anywhere. 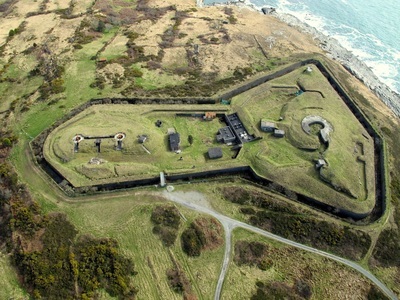 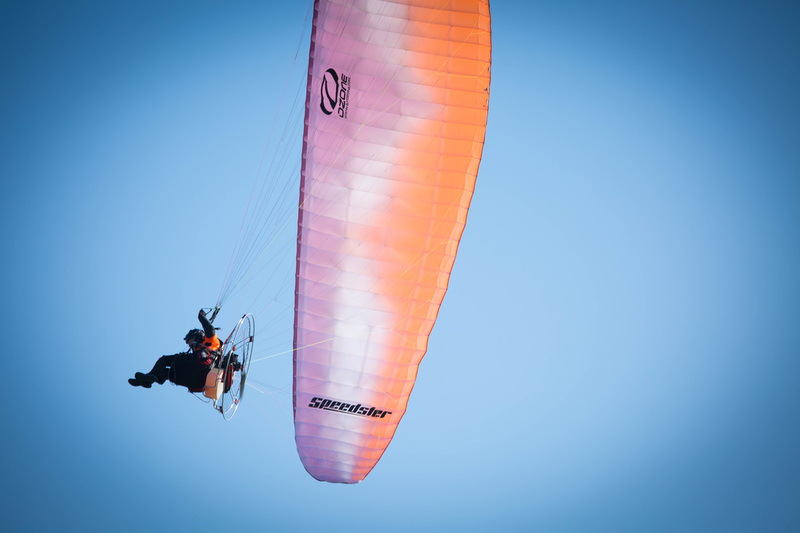 These small aircraft allow you the freedom of the skies, with less red tape and costs than any other powered aircraft. 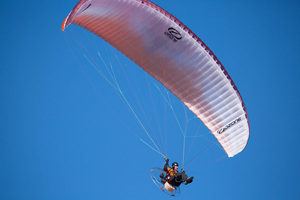 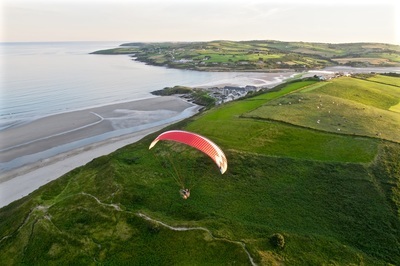 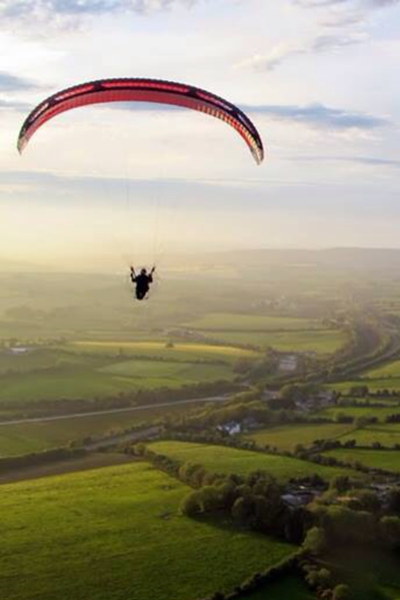 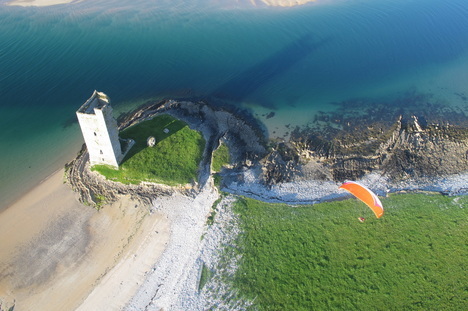 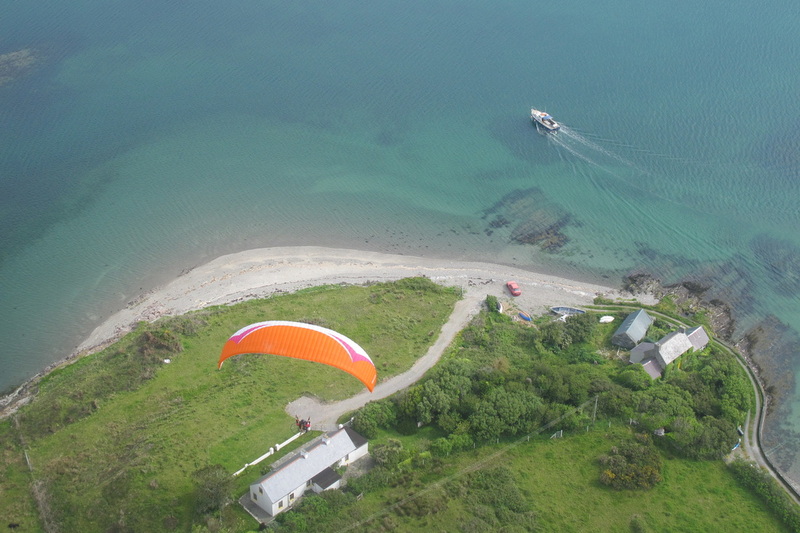 A Powered Paraglider/Paramotor can fly at speeds of between 25 and 70 km/h (15 and 45 mph). 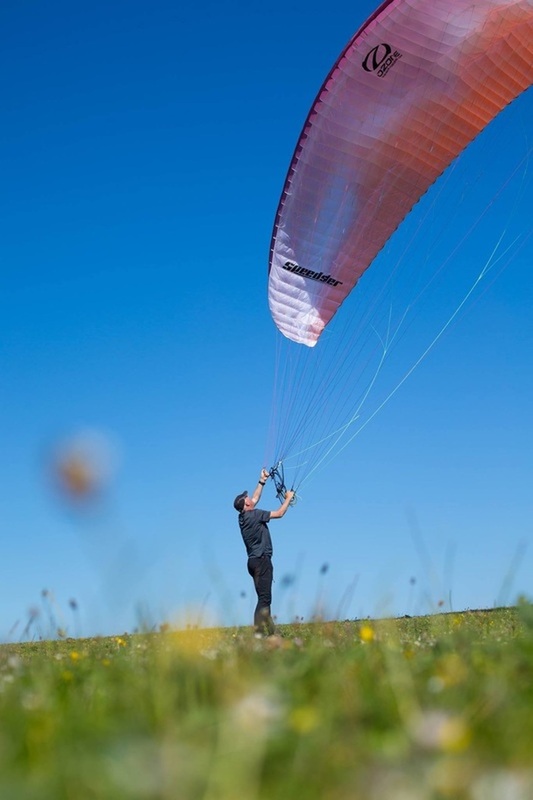 The paraglider itself has no rigid structure, the motor, is carried by the pilot during takeoff, however after a short run the wing lifts the motor and the pilot off the ground. 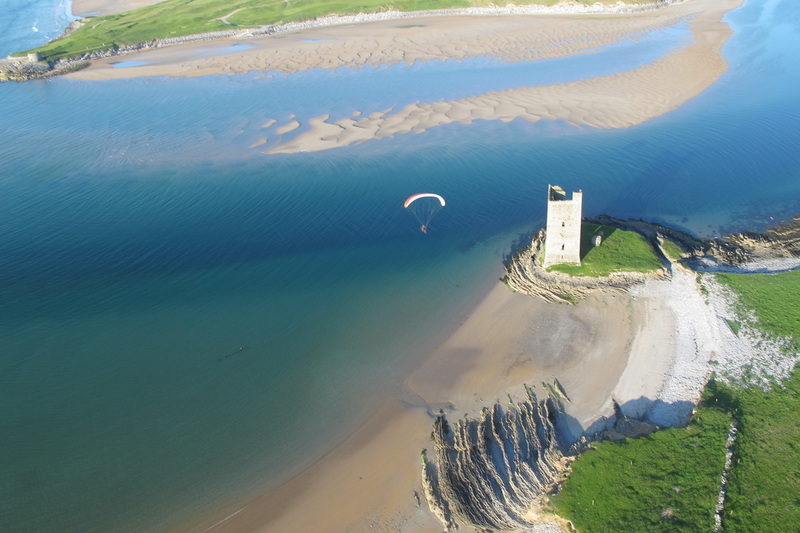 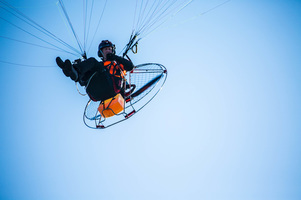 ​The paramotor consists of a lightweight engine (usually a 2 stroke) which is mounted on a rigid frame of steel or aluminium, and which drives a pushing propeller. 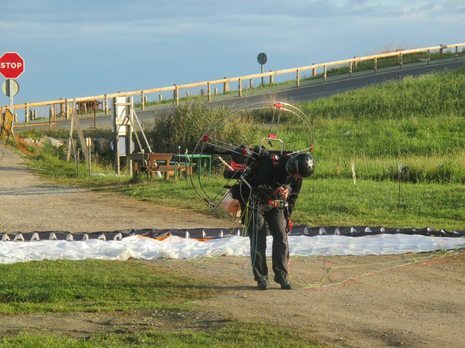 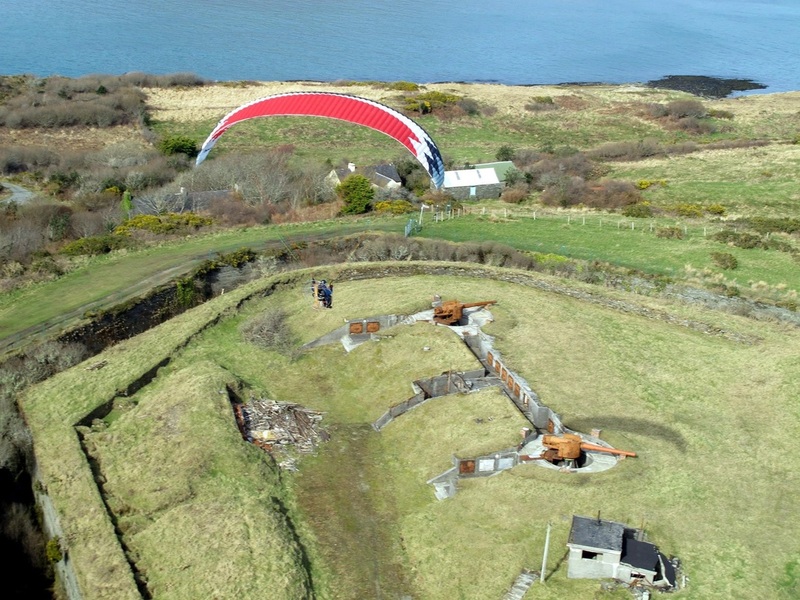 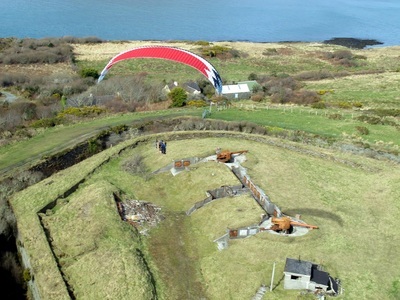 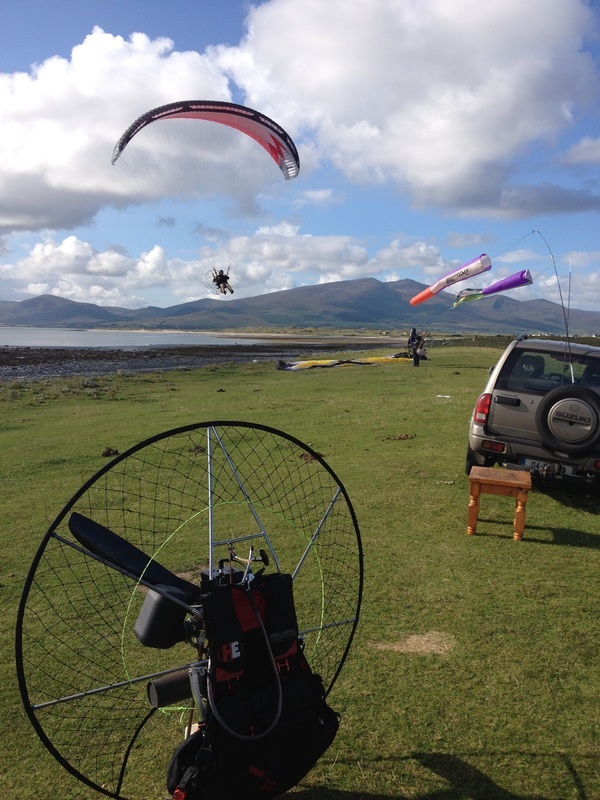 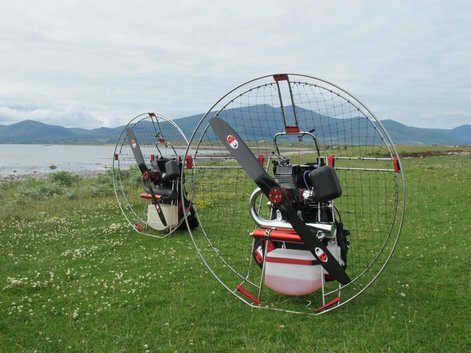 The small fuel tank (up to 14 litres) is also mounted within the frame and the propeller is shielded from paraglider lines by a cage covered in mesh (fish line) offering protection from the spinning propeller. 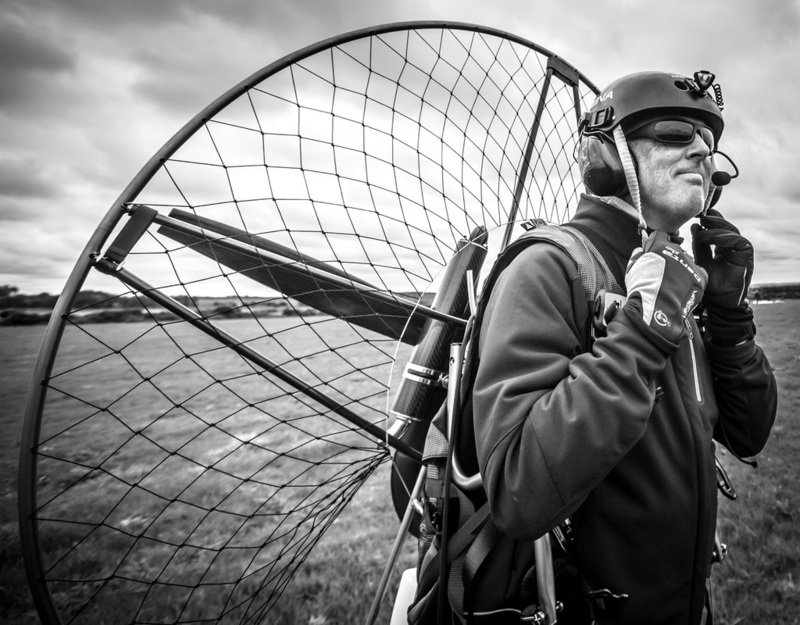 The other side of the frame is fitted with connection points for the pilots harness so that the whole thing can be worn on your back. 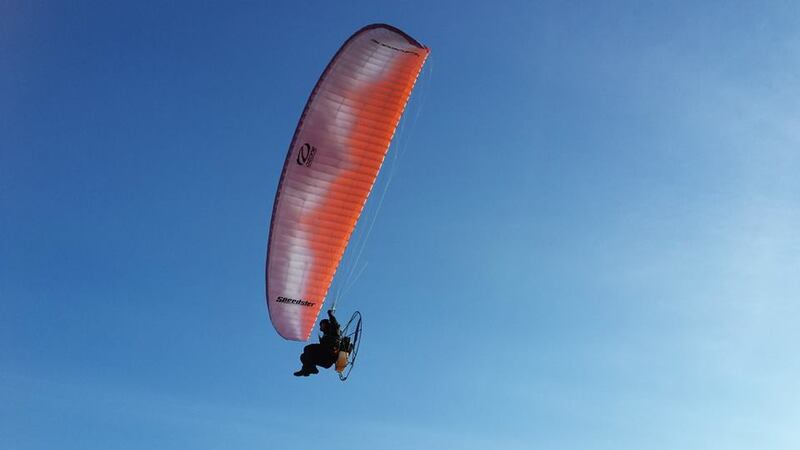 Usual weight is from 19-30kg depending on type. 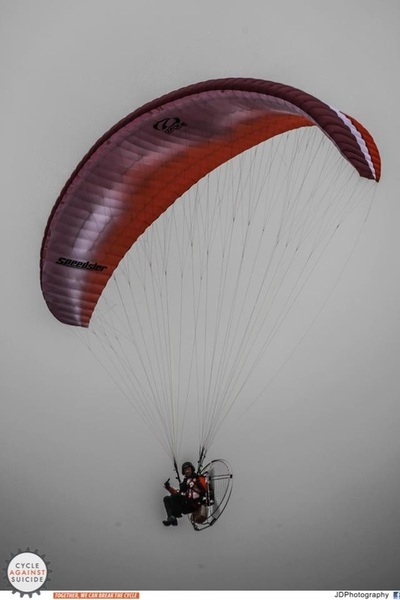 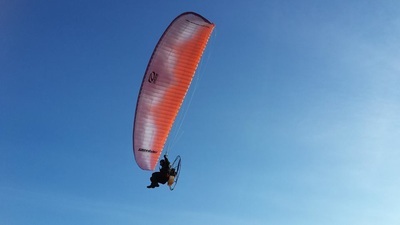 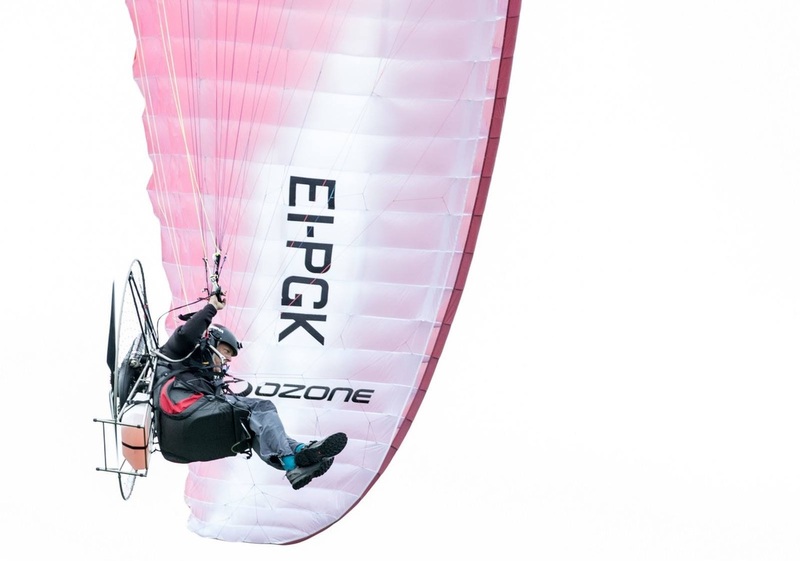 ​Depending on wing type, a classic Paraglider or Reflex, the wing is controlled by using brake toggles for roll and a hand-held throttle for pitch or as recommend for most Reflex wings, when trimmed fast, use of the tip steering toggles. 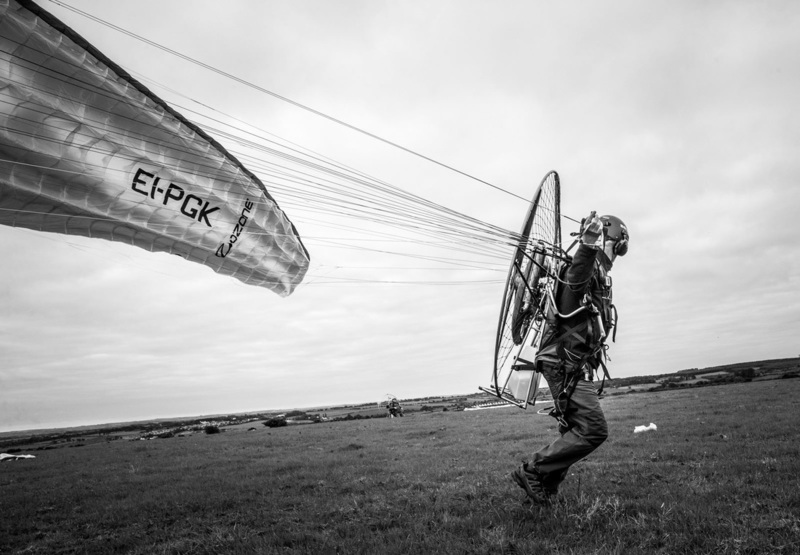 The sport is very weather dependant, and this is likely to be one of the biggest challanges of this expedition! 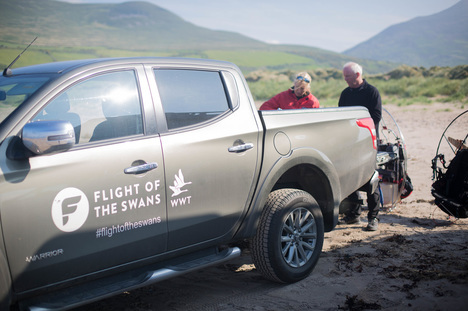 Photos and video taken by Oisin Creagh.